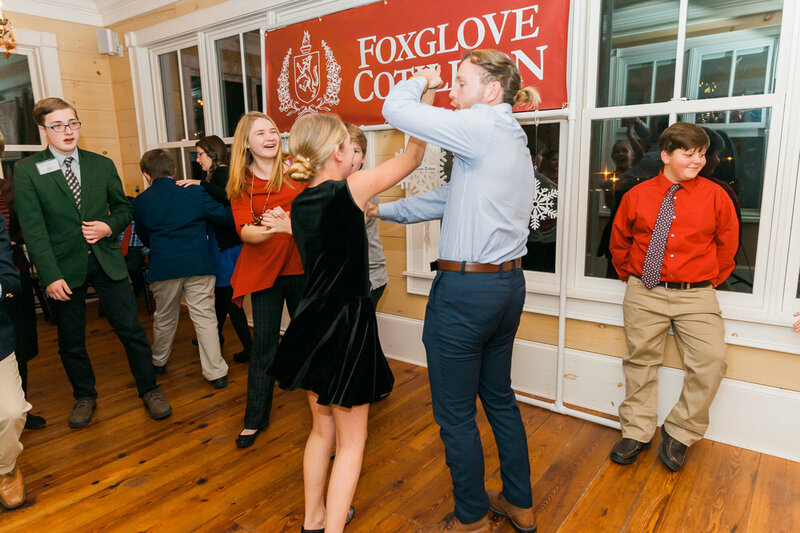 In keeping with their tradition of excellence, and a legacy of emphasizing total student development, we are proud to announce that Foxglove Cotillion has officially partnered with Tallulah Falls School to provide afterschool etiquette classes for 6th and 7th-grade students on campus each semester beginning this Fall! 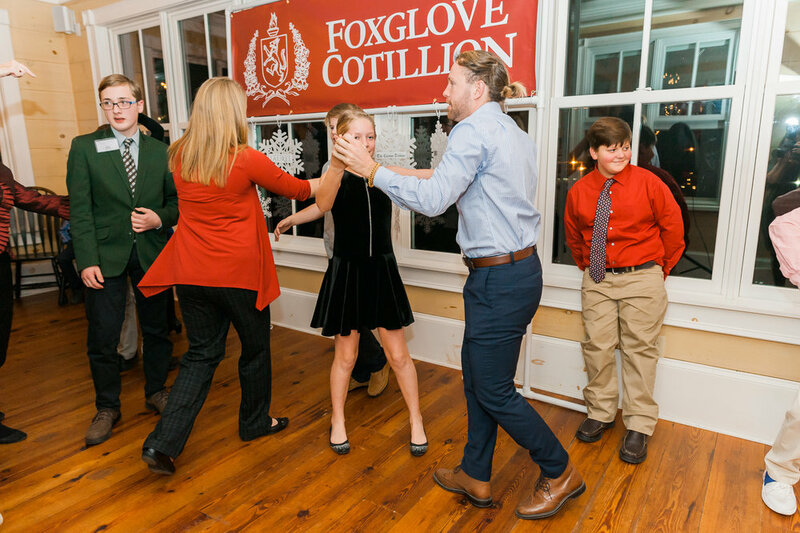 The Fam Jam Photo Recap is HERE! What an Evening! Dec 17th was Beautiful. 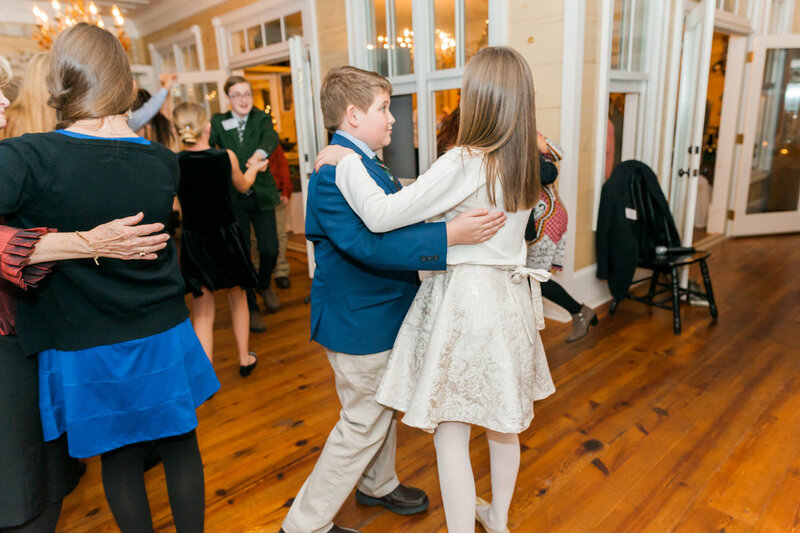 The Rabun Manor, for the second year in a row, was a gorgeous setting for our annual Fam Jam. 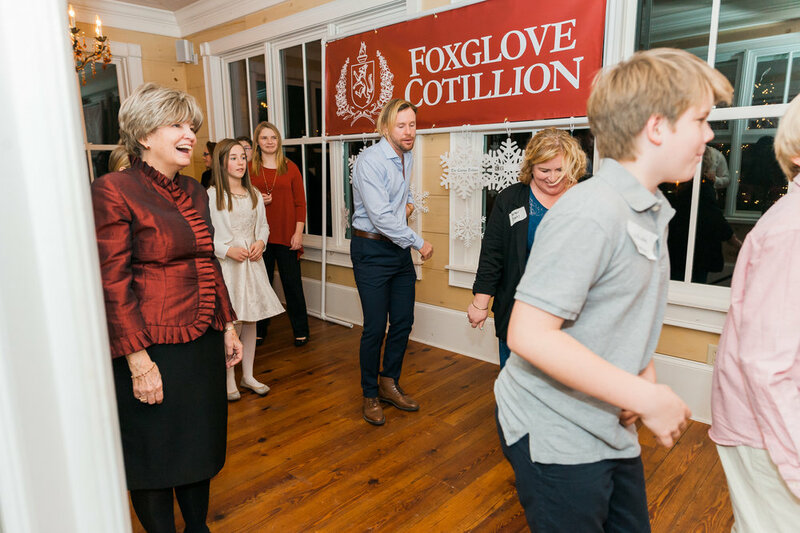 From the tasteful holiday decor to the roaring fire, they really set the mood and provided an elegant backdrop for a delicious holiday tradition. The Fam Jam is a delicious formal instructional dinner! And lastly, learn better table manners so you can focus on arguing about politics! You can purchase tickets right here! Please buy your tickets in advance so that we can prepare the food accordingly. See you soon! 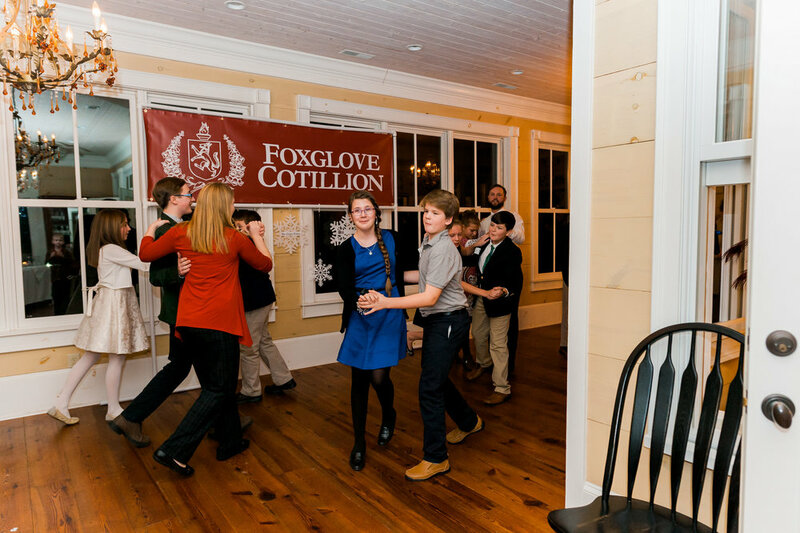 Between the internet and what we teach at home, why pay for cotillion classes? 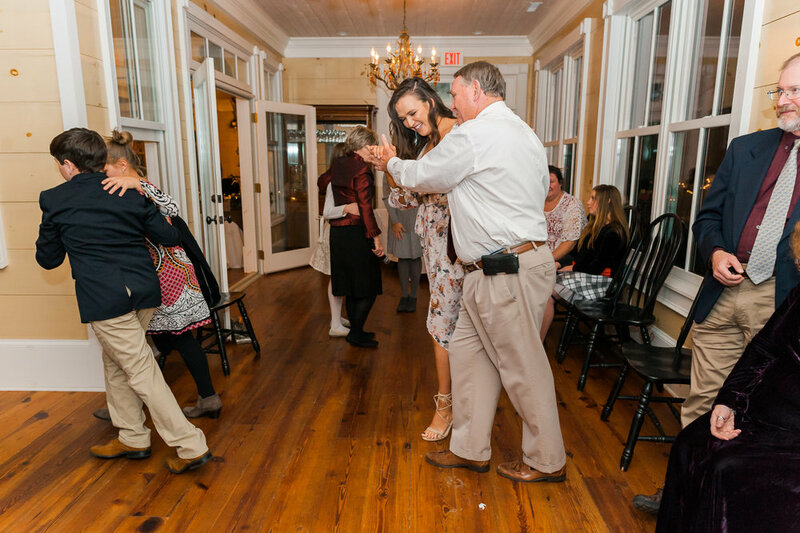 5 Good Reasons to Go to Summer Date Nights on Thursdays at Mama G's! 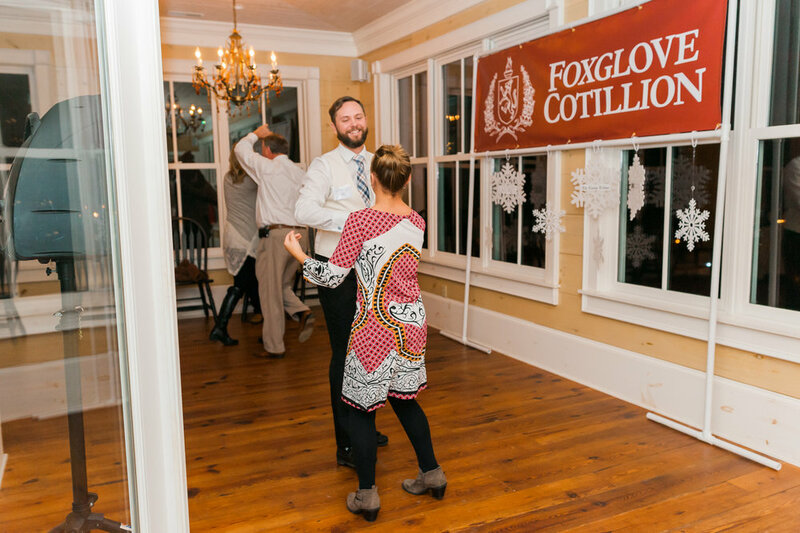 Summer Date Nights are a great excuse for adults to get out of the house on a weeknight for Dessert & Dance Lessons! 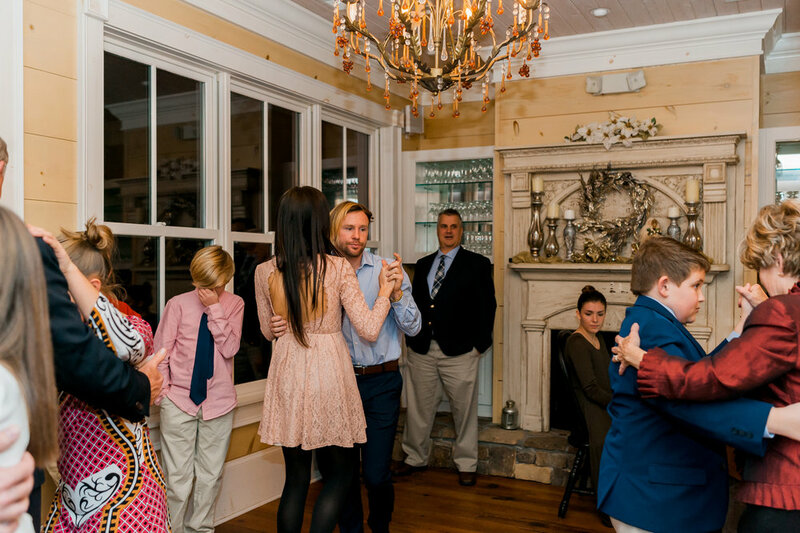 Have you SEEN these Fam Jam Photos! 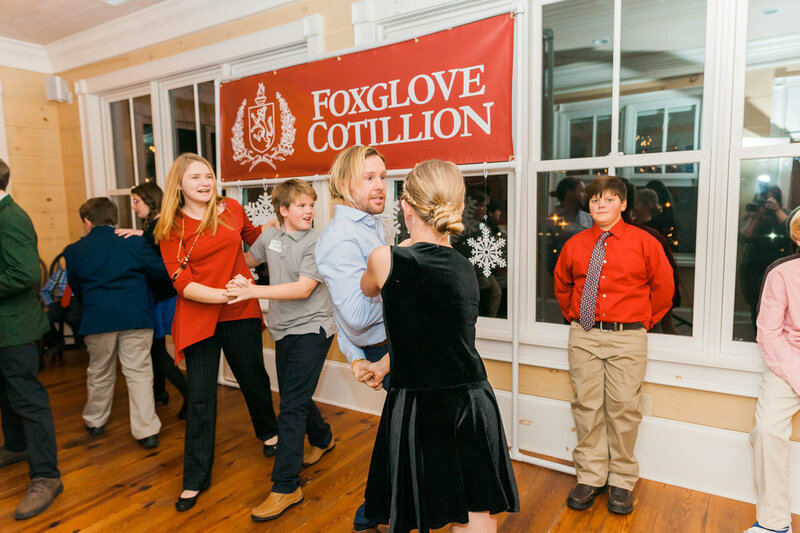 The Foxglove Cotillion Family Jamboree 2016 was a big success. 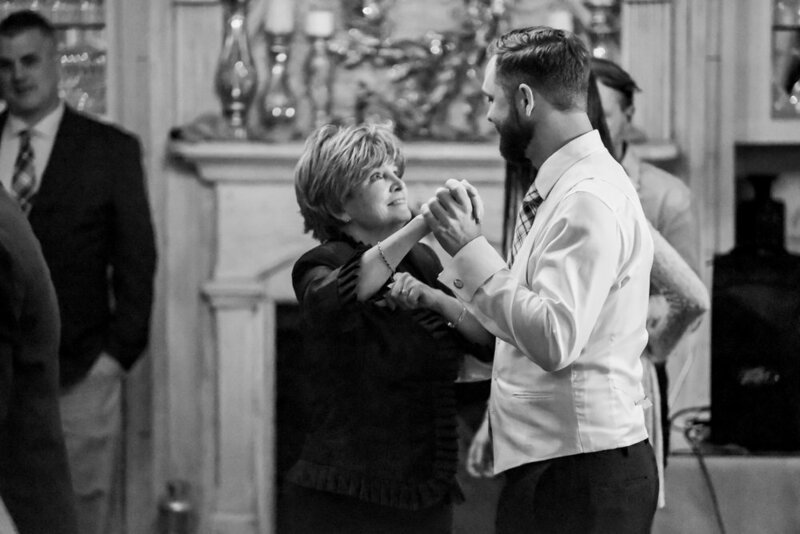 Relive the magic with these photos thanks to Ashley Sue Photography (click to enlarge the thumbnails as you scroll down). What a Venue! Dec 11th was Magic. The Rabun Manor was a gorgeous setting for our first ever Fam Jam. From the tasteful holiday decor, to the roaring fires in both fireplaces, they definitely know how to celebrate the season in style. President and Founder, Page Rhoad addressed a packed house on this particular Sunday evening. 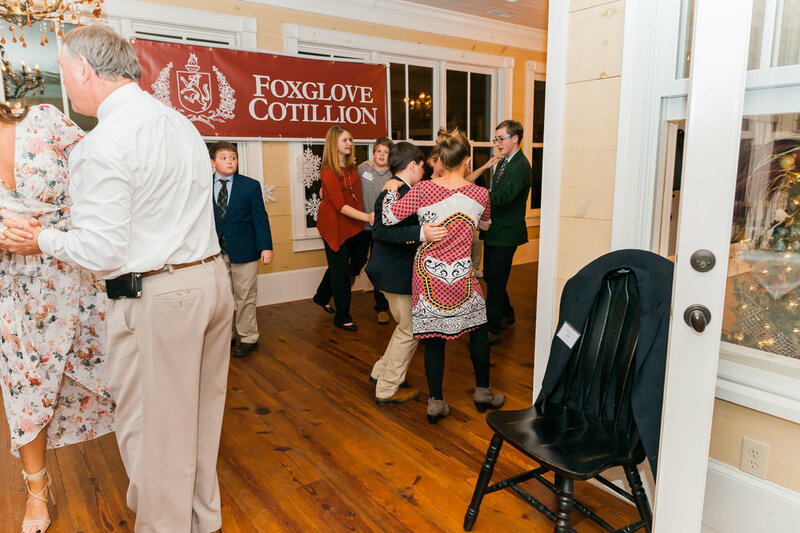 She thanked the community that has supported her and called on her cotillion students in attendance to show off some of the things they had learned. 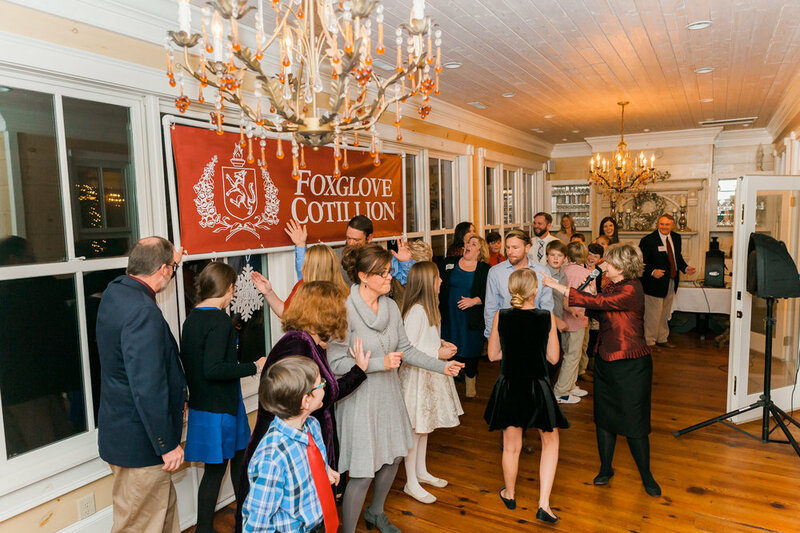 As the night went on, Page guided everyone through formal dining etiquette with candor and humor and left everyone feeling empowered for the coming holiday meals. 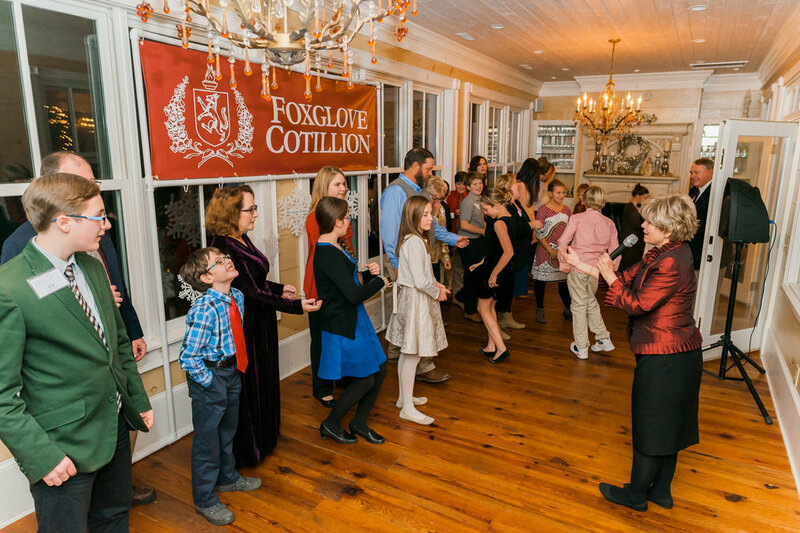 Before the dinner concluded and gave way to the draw of the dance floor, her son and business partner Clifton Rhoad addressed the room and spoke about the importance of young people developing a set of soft skills and social graces to compliment their journey as young adults—a message affirmed by many of those in attendance. 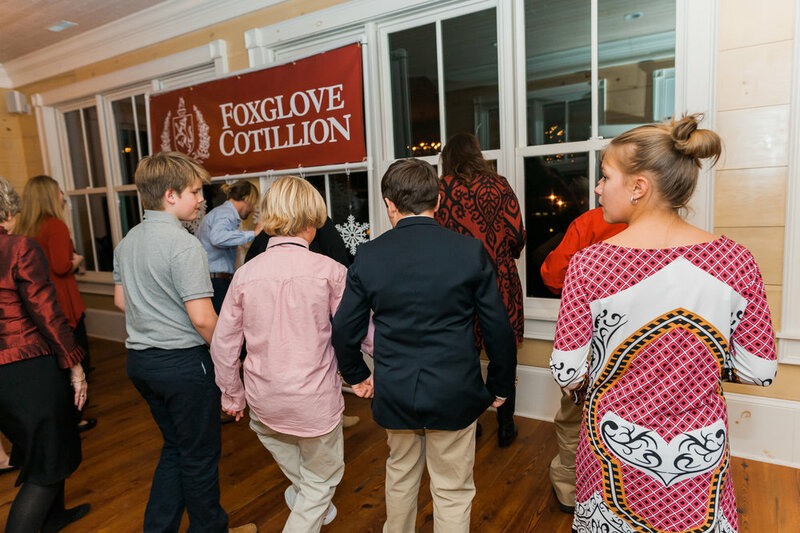 Even though the desserts had been downed, the evening was hardly over! 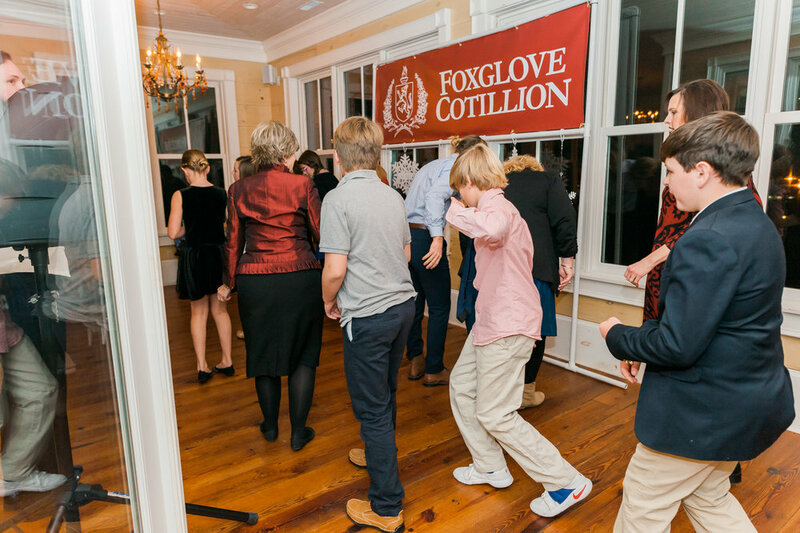 With Foxglove Cotillion's students from the previous 3 semesters leading the way, the cloth napkins and good manners gave way to great dance steps as the music picked up! 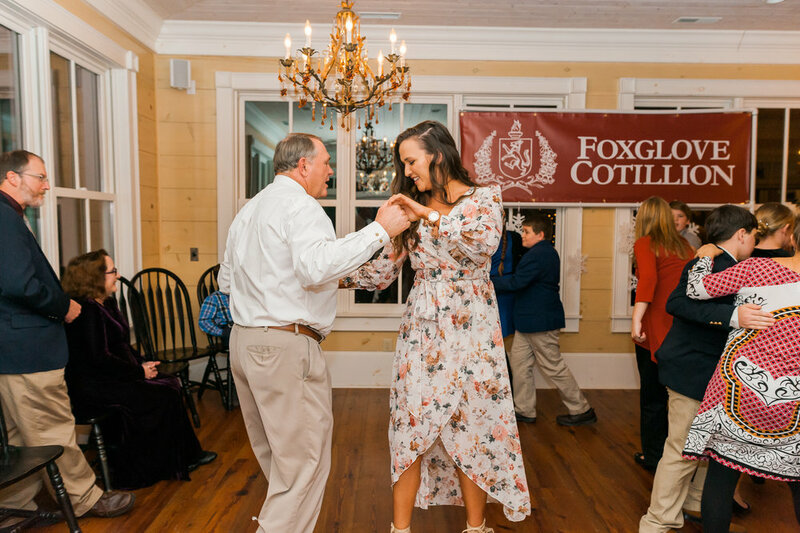 They danced to Swing music and the Foxtrot and even got some of the adventurous family members to join them for a line dance. It wouldn't be a Family Jamboree without family photos! 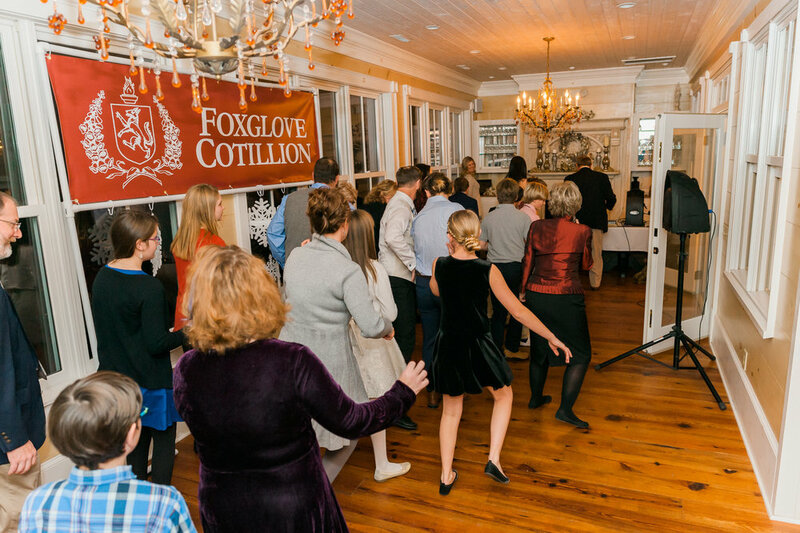 As the evening came to a close, families and friends gathered to get a photo and commemorate a night of delicious food, timeless advice, good manners & great dancing. Individual images are available for download on our Facebook page! 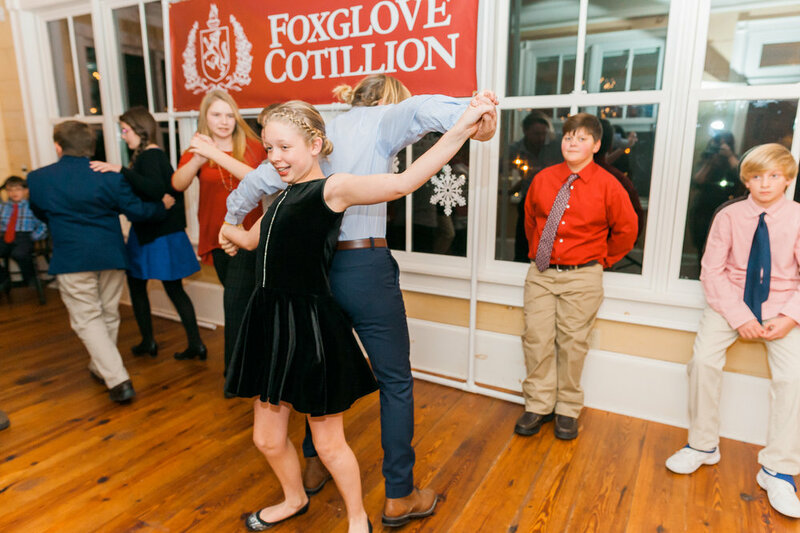 Now offering a 10% Early Bird Discount on the Spring 2018 cotillion classes for new and returning students who sign up by January 28th 2018! 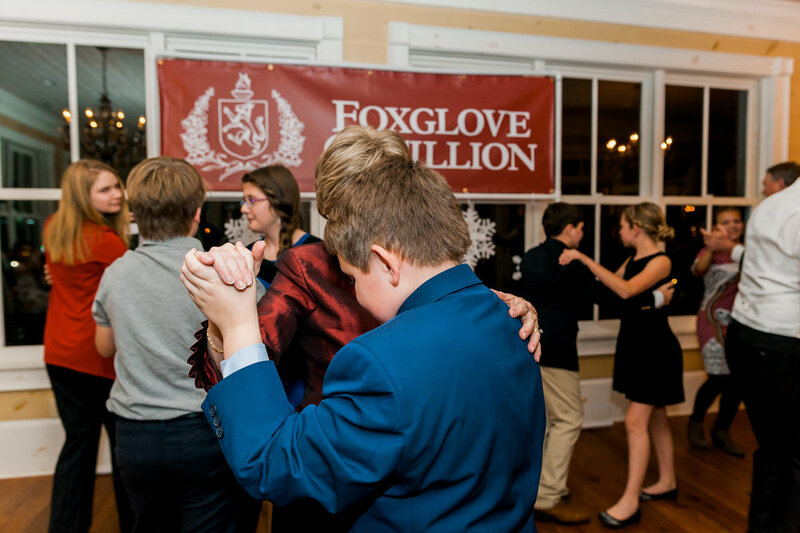 To all of our sponsors and the community that has supported us here in Rabun County, thank you so very much. We intend to serve you and your children well. Truly, we are in their hands, and we genuinely expect that they will make us all proud. 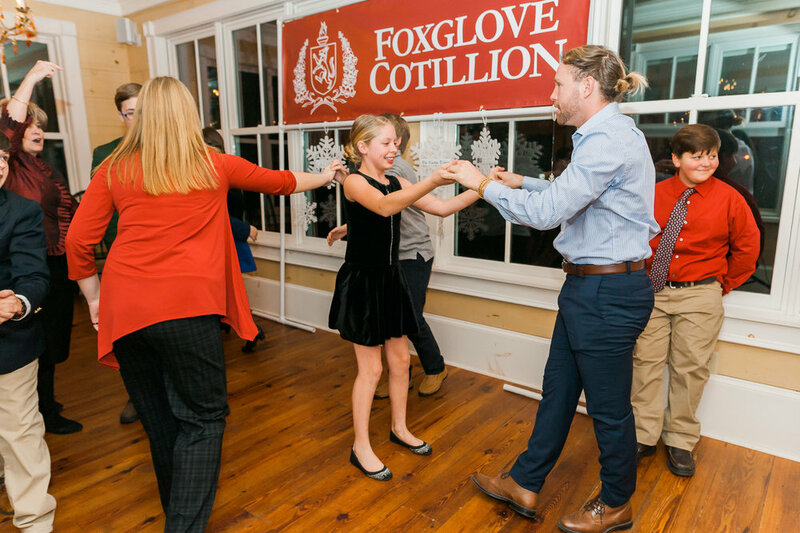 A: Fam Jam is short for Family Jamboree, our holiday party, instructional dinner, and dance, at the end of the fall cotillion classes. 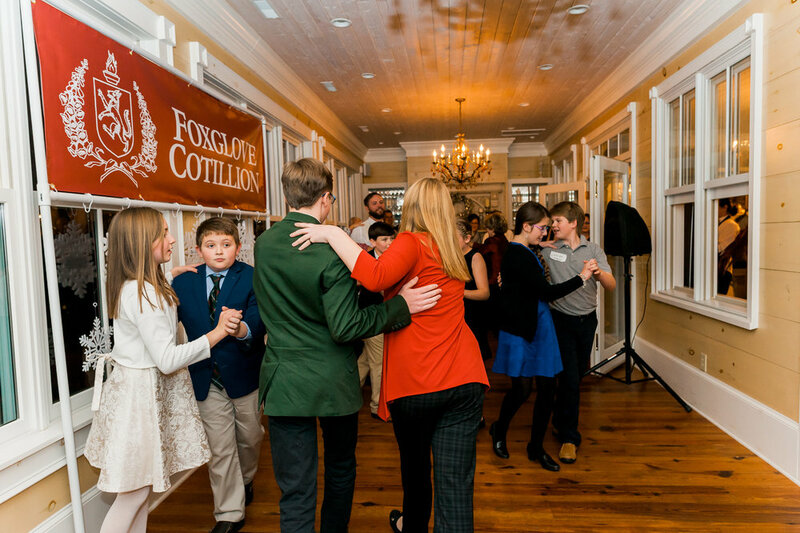 We combine a delicious formal meal with some fine dining etiquette instruction, and afterward have an informal dance. 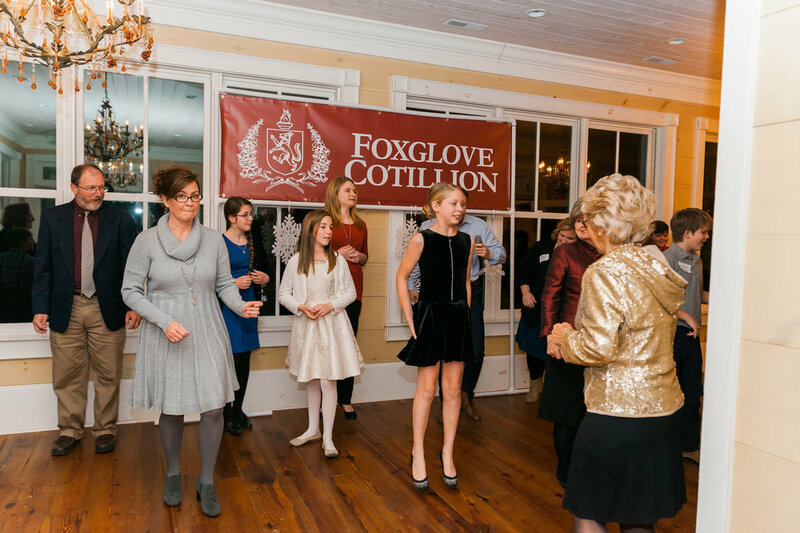 A: Current and former Foxglove Cotillion students and their families, as well as our local community, are invited—and they are certainly allowed and encouraged to bring family friends who might be interested in formal dining etiquette tips. 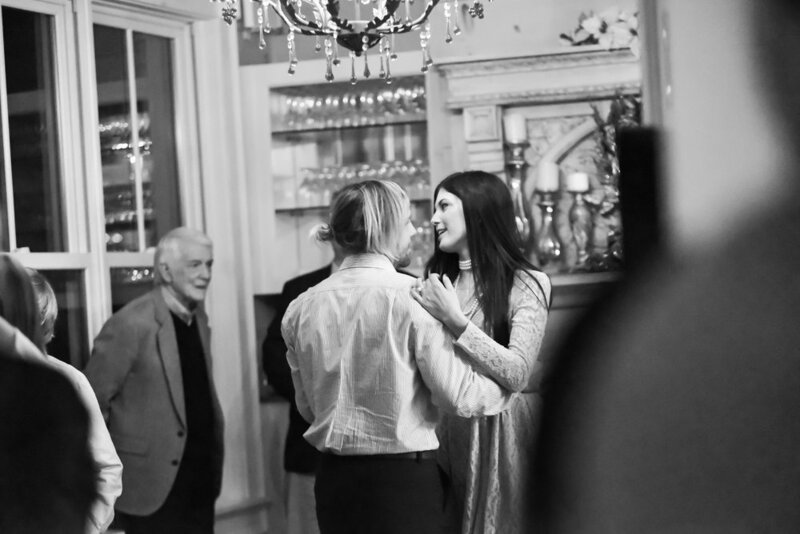 And if your company is sponsoring the event, we would love to have you and your staff join us as our guests to learn a little bit and have some fun. Q: Why is it here just in time? A: Because the holiday meals are upon us! Between fancy silverware at Grandma's and buffet's at New Years' parties, last minute business deals, and eating Christmas meals with extended family, a few dining tips and tricks can go a long way. Q: What are we going to learn? A: Because this is an instructional dinner, we will guide you through everything, from proper place settings to table manners and tips and tricks, and answer questions throughout the multi-course meal. 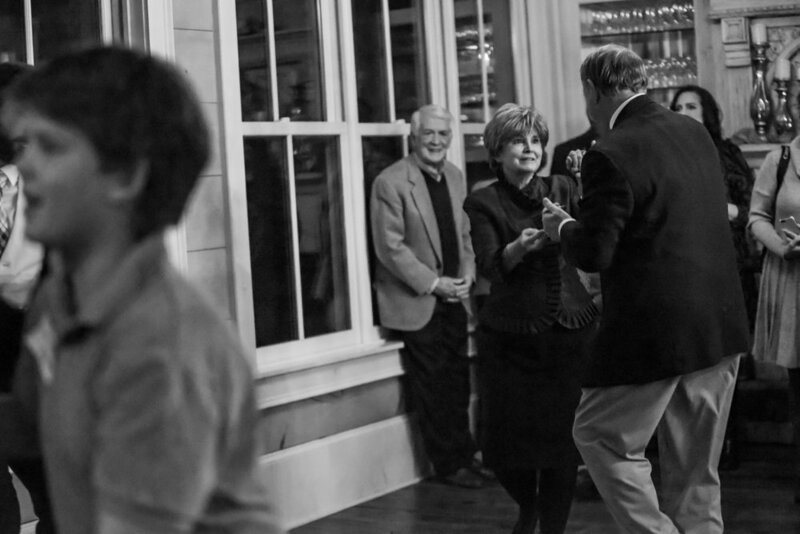 Q: How much does this formal instructional dinner cost? A: Only $20 per person. 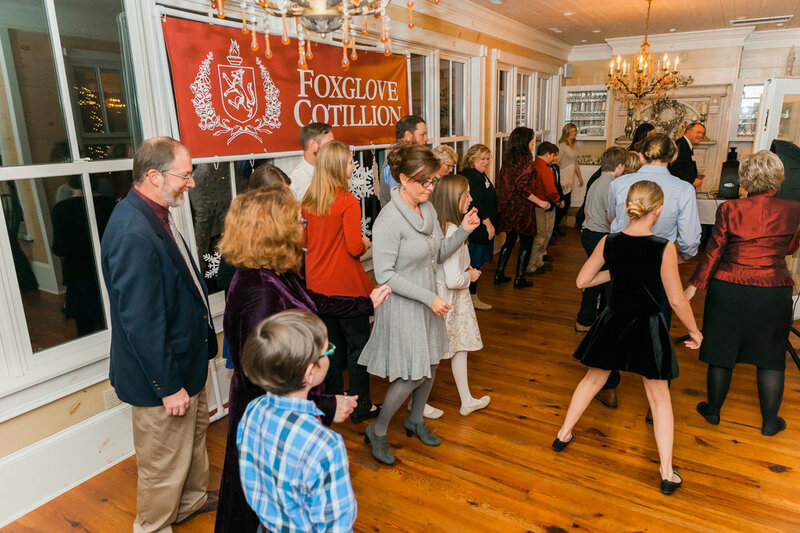 We've worked hard with local companies who are sponsoring the event to make a formal, instructional dinner affordable. 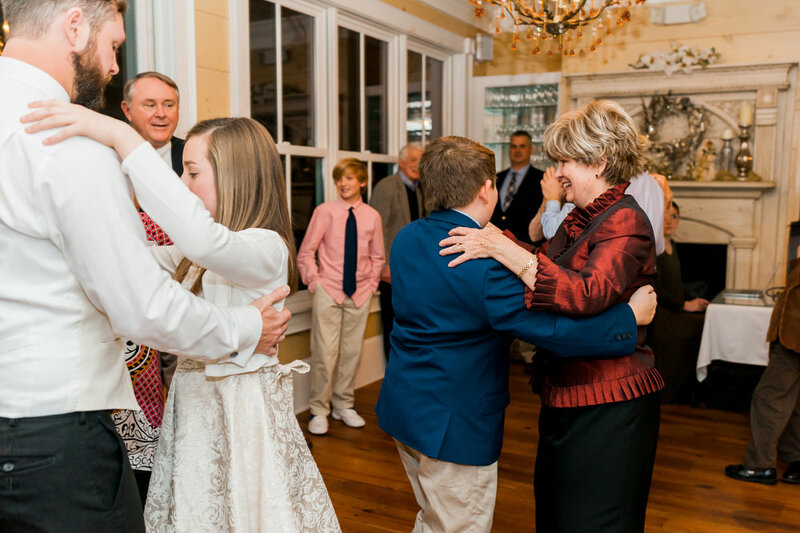 Q: Do I have to stay for the informal dance afterward? A: Of course not but we would love to have you! 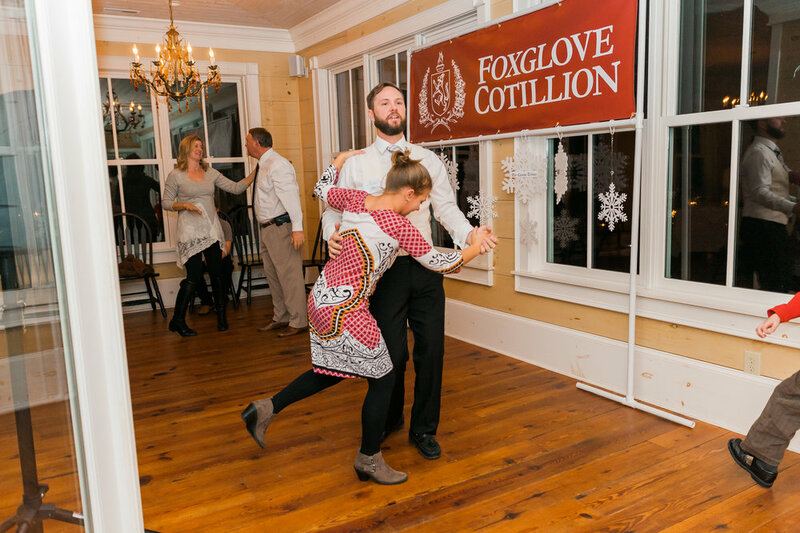 We will teach a couple easy line dances and do a couple Parent/Child dances, but mostly just play some music and have a good time. 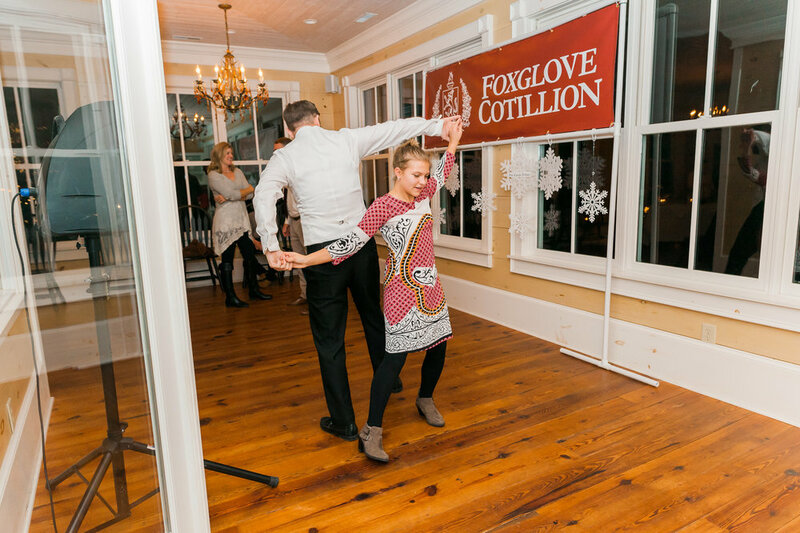 Q: I own a business, how can I sponsor the Fam Jam? 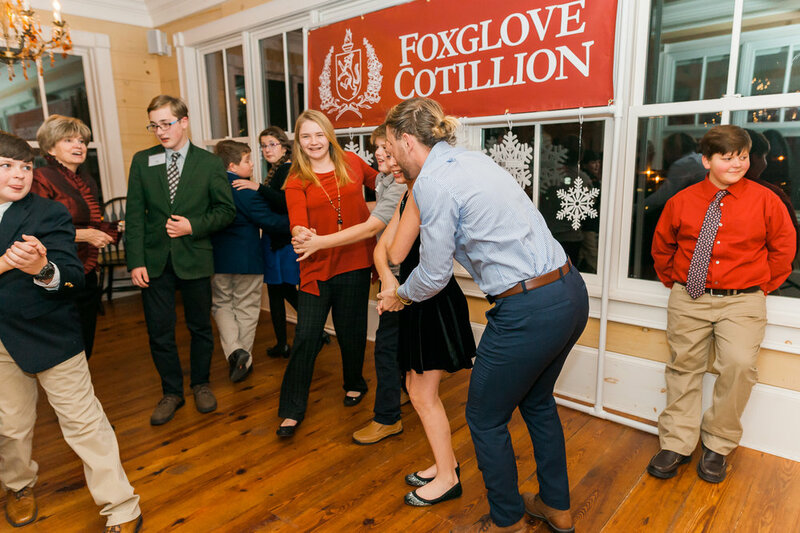 A: There are a couple different sponsorship opportunities for companies that want to encourage etiquette training for young people—and promote professional development regardless of age! Please contact us for more information or visit the sponsors page of our website and select a sponsorship tier online. We invite any and all of our sponsors to attend and send their staff to learn a little at this instructional meal. Call Page Rhoad at 770-861-3149 with questions. Q: I have food allergies, will that be a problem? 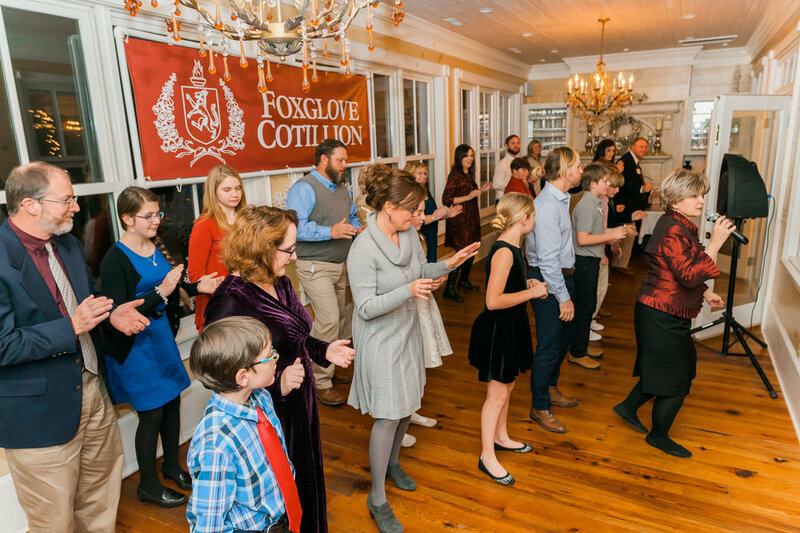 A: We are asking everyone to RSVP online in advance by purchasing tickets (you can learn more at www.foxglovecotillion.com/famjam), or over the phone so that we can make sure our menu does not conflict with any of our guests' food allergies. Our online form requests that you mention any allergies, and we'll ask specifically over the phone. 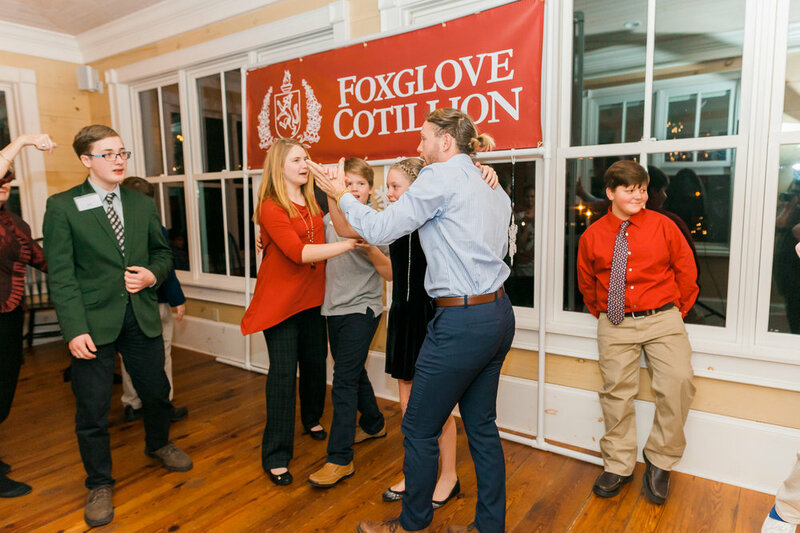 Q: Where is the Fam Jam being held? A: The Rabun Manor in Dillard. 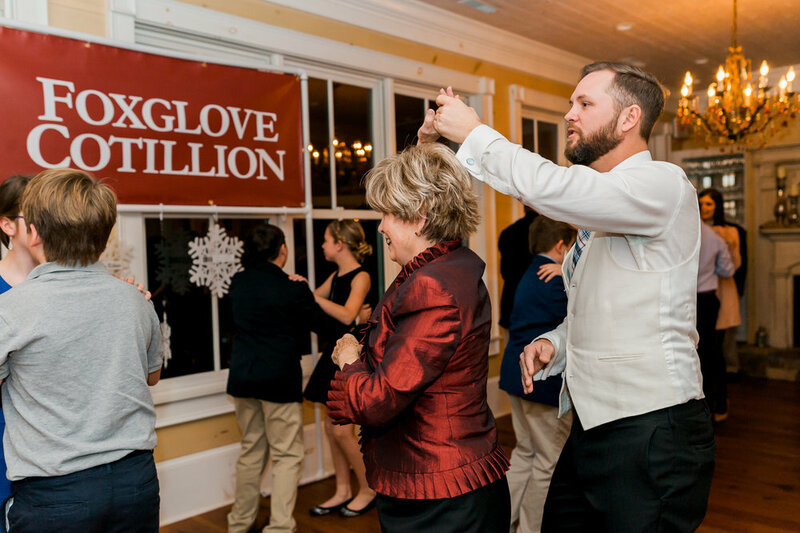 It is a truly gorgeous setting and well-equipped venue with fantastic food, plenty of seating, and a nice dance floor so that we can break it down afterwards! A: The event is from 5:00 to 8:00 p.m. and we will go through the instructional dinner slowly, one course at a time. 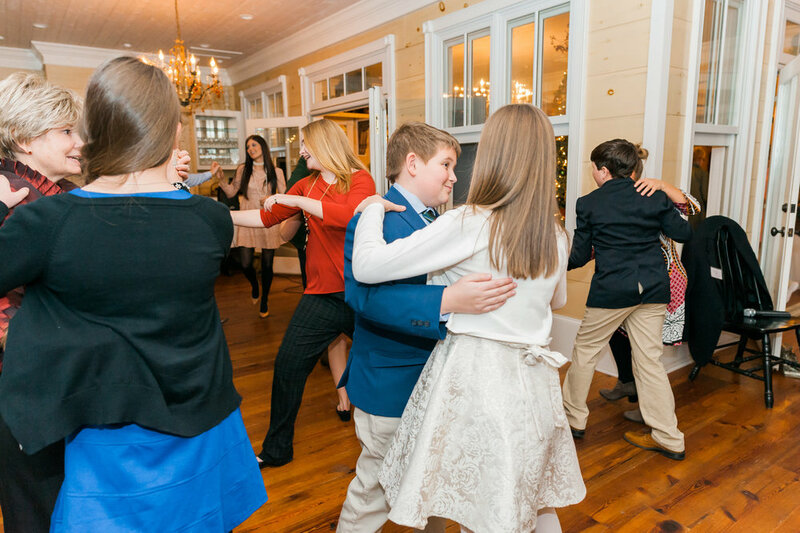 The informal dance will be immediately after dinner, and everyone is encouraged to stay and enjoy themselves. A: No, but we are encouraging folks to wear holiday attire despite not requiring any specific dress code. Q: How soon do we need to RSVP? A: Please try to RSVP by Tuesday December 12th because the Fam Jam will be on December 17th and we need to know how much food to prepare a week in advance. Q: How do we pay to reserve our seats? A: You can simply pay online or contact Page Rhoad to confirm you and your guests.